The shinelink is a quick plug and play way to provide monitoring for a Growatt solar pv inverter. Generation can then be monitored via the internet or shinephone app. 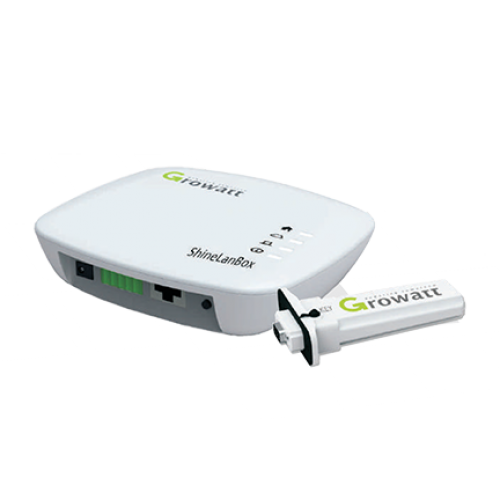 The Shinelink hub works with up to eight Growatt inverters (purchase of extra separate dongles required for each inverter). This product replaces the Growatt wifi dongle from July 2017. Important: To pair and register use the Serial Number of the Shinelink box not on the stick.